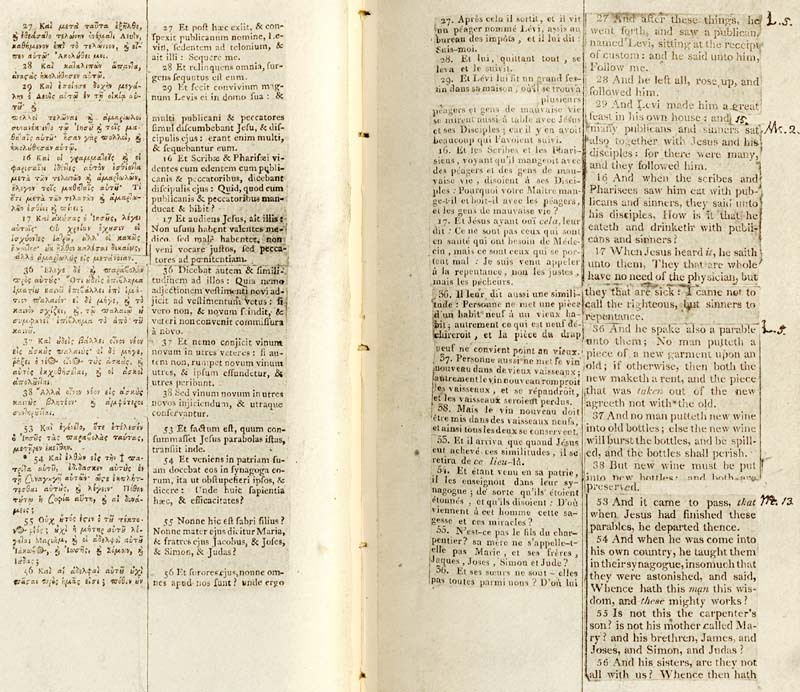 The famous (or infamous) Thomas Jefferson bible is on display at the Smithsonian through the end of May. What makes it special? How would you feel about taking a razor blade to a Bible? Thomas Jefferson, apparently, didn't have any qualms about it. In his retirement, the nation's third president carried out a project he had contemplated for years: he literally cut and pasted passages from the four Gospels into one integrated narrative of Jesus' life -- minus the miracles and supernatural events. The result, he said, was "the most sublime and benevolent code of morals which has ever been offered to man." Judging by the wear and tear on the book, it appears Jefferson read it regularly. Known as "The Jefferson Bible," the 84-page patchwork book is on display at the Smithsonian's National Museum of American History here through May 28, 2012. Smithsonian Books has released a commemorative full-color edition, and Tarcher/Penguin is publishing a pocket-size version in January. The exhibit is the first time the book has been shown publicly since it underwent a meticulous conservation process. When the pages were removed from the binding for treatment, they were also photographed, so that the entire book can now be viewed in high-resolution digital images on the museum's website. Curator Harry Rubenstein said the book can be controversial, but it depends on how you look at it. "It's either a statement that strips out the divinity of Jesus ... or it's a distillation of his moral philosophy," Rubenstein said. 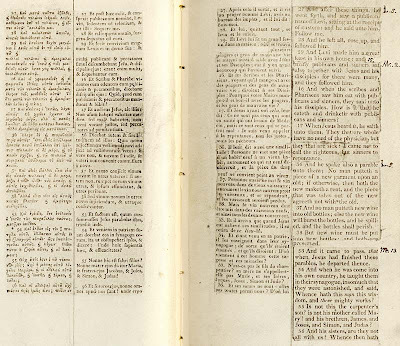 Jefferson cut passages from six different Bibles, in English, French, Latin and Greek. He left behind any elements that he could not support through reason or that he believed were later embellishments, including the Resurrection.